Have you ever thought of spending your vacation in Asia ? Why not? It has many amazing places where you can relax and enjoy life with your family or with a special someone. If you don’t have ideas about the best places, then we’ll give you some places that may interest you. 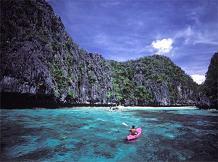 Philippines: Philippines is known as the Pearl of the Orient. It is indeed a place where you can indulge yourself to beautiful beach resorts and islands. If you are familiar with Boracay Island, the famous white beach, then I know you will appreciate the country so much. Other must-see places include Palawan, Bohol, Tagaytay, Baguio City, Panay Island, Pagudpud, and others. You will also be attracted by its people because of their hospitality and warm welcome to visitors. Indonesia: The country is very rich in culture, religion and beautiful landscapes. Visit Bali, the heart of Indonesia and explore the magical island. You’ll see traditional performances, radiant beaches, festivities, and watersports. Thailand: One of the favorite destinations of tourists is Phuket, Thailand. The island has charming beaches and diversified scenery of mountains and rain forest. The island has good places for honeymoon. There are nice hotels and luxury hotels where you can get satisfying services. Amari Coral Beach Hotel Resort is one of the best hotels in Phuket. Hong Kong: It is one of the best places in Asia where you can enjoy your vacation. It has mix of culture which makes it interesting. Attractions include Victoria Harbour, Victoria Peak, Lantau Island, HK Museum of History, and a lot more. Singapore: Visit this unique country and you’ll experience a blend of culture, arts and architecture, and cuisine. Sentosa is one of the top Asian destinations. Africa has great beaches and forests. If you are interested to go in Middle East, try Dubai and experience life and fun in the desert. If your cup of tea is going on a cruise, then a European vacation is for you. Contact you travel agent for cheap vacation packages now!